Throughout the summer 2011 and 2012 MOCK Studio hosted a series of rain barrel workshops as part of a larger effort to bring back Hale Cook Elementary as a community school in the Waldo neighborhood. MOCK Studio rain barrel workshops is a part of a larger effort to build a growing movement for localized stormwater management, water conservation and quality. 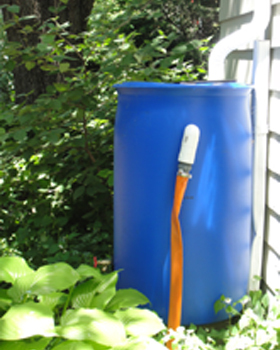 For only $65 you can participate in a workshop that will teach you how to build, install and operate your own rain barrel, then put one together so that you can take it home with you! Class sizes can range from one on one courses up to groups of ten. You can pay below or at the event. And if you just need a rain barrel, completed sets are also on sale for $65.